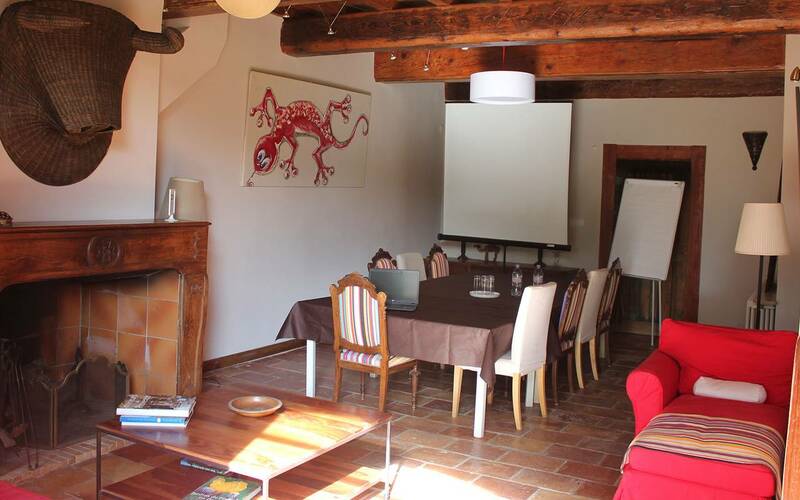 This quiet and secluded environment is the ideal place for team building, motivation courses, escape, discovery, sport, relaxation…20 km from Nîmes International airport and TGV station, and 25 km from Avignon TGV station, close to the A7 and A9 auto-routes and on the fringes of the Camargue and Alpilles, the Domaine des Clos offers you and your team a moment of escape and calm. 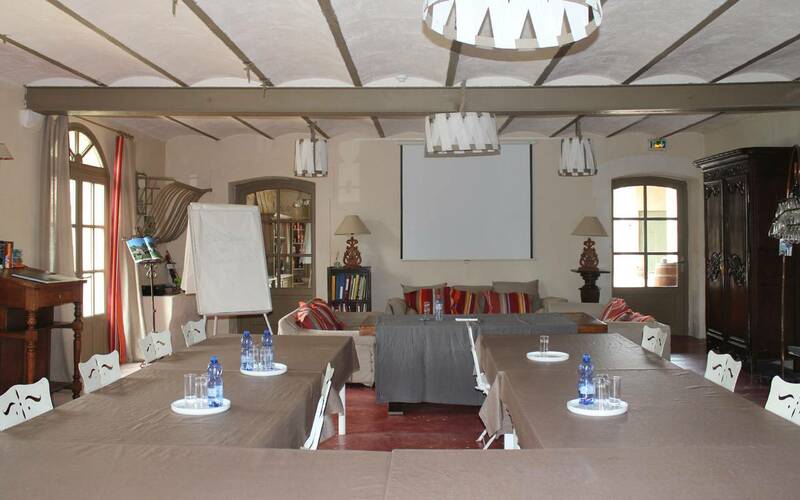 Lodge in a comfortable 18th century farmhouse, surrounded by 4 hectares of garden and have your seminars and activities tailor-made to your requirements. A convention, formation, seminar or conference? We are there to help you create the seminar you want whether it be a long day of discussions punctuated by coffee and lunch breaks or creating different activities to help form and bond a team, or even both? 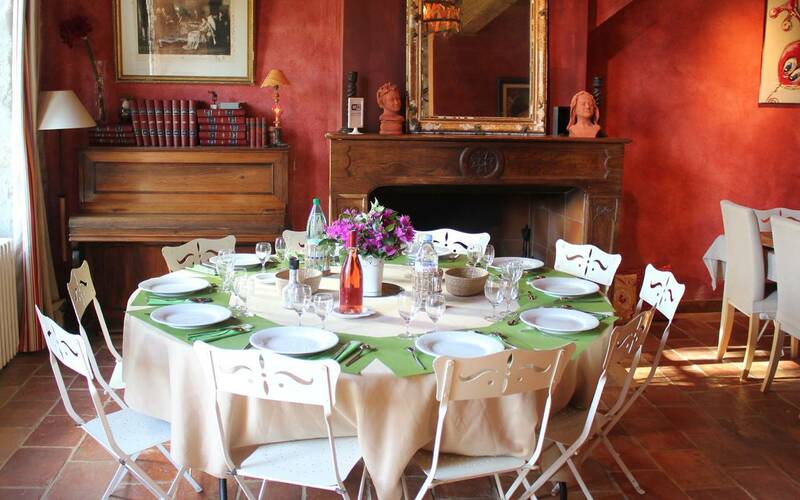 Within the charm and quiet of this beautifully restored 18th century farmhouse, David and Sandrine Ausset, are there to cater to the individual needs of each seminar group. Here you can hold intense work and study periods in an atmosphere far from your workspace. Surrounded by 4 hectares of gardens it’s a place where you can enter a different mental space, work hard and then relax in the gardens, by the pool or playing a game of boules with your colleagues. Where each team member can come together under the spacious roof of this lovely 3 star hotel, with its services, tailor made to meet your needs. Tables, chairs, paper board, video projector, DVD player and Screen, WiFi connection, bottles of water. 14 persons in single rooms and 26 persons in twin rooms. Each of the rooms is air-conditioned with its own en-suite bathroom, flatscreen TV, free WiFi. Breakfast, coffee/tea break, lunch and dinner. We provide a provençal cuisine adapted to working lunches using fresh local and seasonal products. Morning and Afternoon Breaks: Home-made cakes, fresh seasonal fruit platter and juices as well as a selection of teas and coffee. Culinary workshops (ideal for a shared moment between colleagues and bonding new groups).  Wine-tasting with an expert and olive oil tastings. 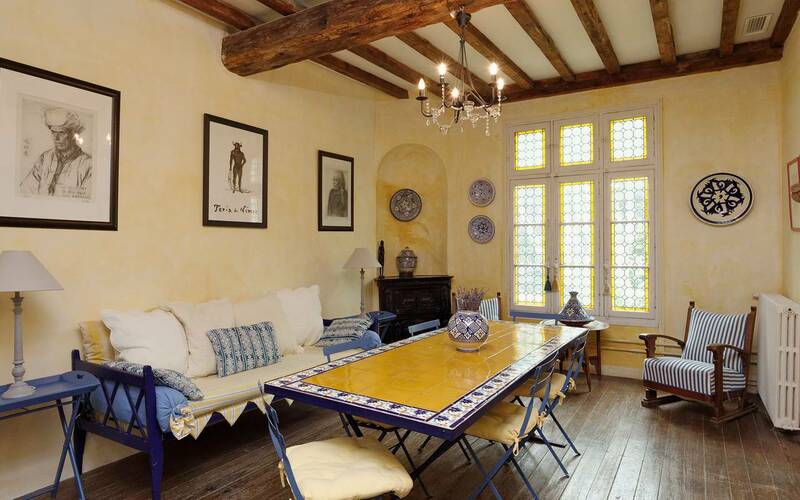 Swimming pool, table football, ping-pong and petanque (boules) that quintessential southern French game played with steel balls and usually accompanied by a glass of pastis or rosé at the end of a hard day.